Beat Boogie Quality Custom Drums - If you are looking to add a drum to your kit we can offer additions in these sizes with black or chrome hardware: 16x14, 16x16 Floor Tom, 22x18, 22x16 Bass Drum, 10x8, 12x9, 13x10 toms. Send us a picture of your kit & we will try and match or get as close as possible. The hoops are triple flange hoops, mahogany shell, tear-drop lugs.We can customize your snare or set with customer provided image, picture, art. This is an example of a snare built with image provided by customer. If you are looking to add a drum to your kit we can offer additions in these sizes with black or chrome hardware: 16x14, 16x16 Floor Tom, 22x18, 22x16 Bass Drum, 10x8, 12x9, 13x10 toms. Send us a picture of your kit & we will try and match or get as close as possible. The hoops are triple flange hoops, mahogany shell, tear-drop lugs. We can customize your snare or set with customer provided image, picture, art. This is an example of a snare built with image provided by customer. 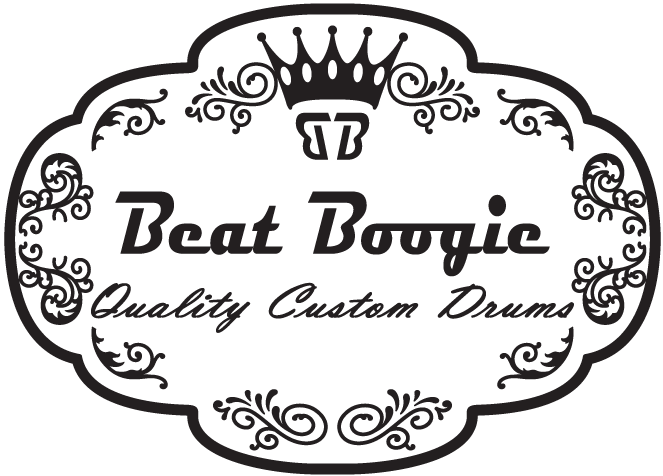 Call for an appointment at the Beat Boogie Quality Custom Drum Showroom located in Schererville. Flexible hours. Call Steve Crabtree at 219-477-0975 or email BeatBoogie@BeatBoogie.com Thank you! Beat Boogie Quality Custom Drums is not a manufacturer and offer's customized drums that are built with components from various manufacturer's.